While it may be more difficult to grab attention these days, the good news is that your target audience is still there, ready to be inspired by your company’s story and creativity, as well as some of your product or service promotions. According to survey findings from MarketingSherpa, 85% of U.S. consumers said they used social media, with 58% all respondents saying they follow brands on social media. And the success of your social media efforts boils down to one thing: Likeability. People will follow your brand because they just plain like you and they like what you have to offer on social media, such as quality and entertaining content, discounts and special promotions, or customer service. So how can your brand be more likeable on social media and stand out from the competition? Below we offer a few tips and examples that can help. If you want to grow meaningful connections—as well as your number of page likes and follows—the importance of authenticity cannot be overstated. Social media gives brands the opportunity to show their target audience who they are, not just what they sell. Develop a brand voice and marketing strategy that brings a human element and some personality to your social media pages. This means it’s time to lose the jargon or sales pitch, and talk to people on their level. In addition, ask thoughtful questions and be timely in your responses to keep the conversation going and to show your audience your dedication. 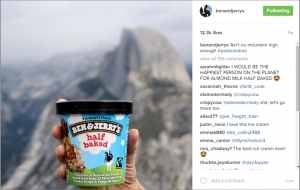 Ben & Jerry’s, the makers of some of the most delicious ice cream on the planet, have blended their brand with creativity and humor, as well as some tongue-in-cheek references from time to time, into their Instagram postings. #2 – Provide value through a mix of content. Providing your audience with a mix of quality content is key for raising your likeability factor and showing your value. Share links to helpful content on your website, but also make sure you’re calling their attention to other relevant and helpful pieces of content or news items that are out there. This will show them that you’re in the know and that you’re dedicated to providing them with something useful, even if it doesn’t have your name on it. In addition, do not forget to include visual content as part of your mix. Humans are visual by nature and research shows that visual content can seriously boost engagement on social media. Also, consider posting content natively within your platforms to eliminate the barrier between your audience and your content. While you give up some immediate website traffic, native content—especially native video content—allows your audience to interact with your content in the moment and can also boost engagement. #3 – Don’t be overly promotional. If your brand is only posting promotional messages, you need to stop. That’s not what your audience is looking for and you’re probably not seeing much ROI. Your audience wants to know who you are, what you stand for and what you can offer, which goes well beyond your line of products or services. Social media is all about giving people a place to share their thoughts and experiences with one another. As mentioned above, ask your community engaging and thoughtful questions to get the conversation going and tap into their insights. If you’re sharing industry news, ask them for their thoughts on recent developments. If you’ve recently launched a new product, ask for their feedback. HubSpot is constantly asking their audience for their thoughts on a variety of related topics, encouraging conversation and prompting shares. Here’s an example of a recent Facebook post. If you’re on Twitter, consider posting a weekly poll on a relevant topic to inspire engagement. 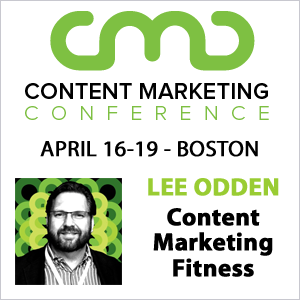 Here’s an example from our very own, Lee Odden. #5 – Nurture your following. If you really want to become a more likeable brand, you have to invest in social media community management. While your social media marketing efforts help drive your brand toward specific goals—such as increasing brand awareness or engagement—social media community management is all about nurturing your audience to grow a stronger, larger and more engaged following. One great way to do this is to leverage the unique conversations and engagements happening across your social pages. As an example, use the information you extracted from a Twitter poll as fodder for a Facebook or Instagram post. This not only gives you the opportunity for additional discussion and engagement, but also reminds your audience that they can follow and engage with you on multiple platforms. #6 – Don’t shy away from negative feedback. Every brand and business dreams of complete customer satisfaction, but that’s rarely the case. Things happen and social media is often an easy place for your customers to air their grievances. While it can be scary to allow mistakes to be visible for the whole social media world to see, use any negative feedback as an opportunity to show humility, understanding and your drive to take care of your customers. Sun Country Airlines has this down. On Twitter, the company is on-top of what their audience is saying about their services—good or bad. Here’s a recent example from a disappointed customer. The brand responded promptly and offered their assistance. But here’s another example of someone who’s happy to be flying with them. Not only was this a quick response, the purple heart was sweet and spoke to the customer’s whole reason for flying. The bottom line? Take the bad with the good to show your value and up your likeability factor. #7 – Tell your company’s story. As previously mentioned, social media is not the place for being salesy. It’s the place where you let your followers get a deeper look at who you are and what value you offer. IBM does a fabulous job of company storytelling. The company’s Facebook page is filled with inspiring videos, articles and quotes that showcase the amazing innovative technology they’re bringing to the world and how’s transformed over time. On Instagram, the company provides its audience with a deeper looking inside the company and the people who work there. The beauty of social media is that it give brands the opportunity to put themselves out there and create meaningful interactions with their audience. But in order to be a likeable brand, you need to provide good, quality content and be smart about how you engage with your audience. Hopefully these tips and examples can help you on your way. 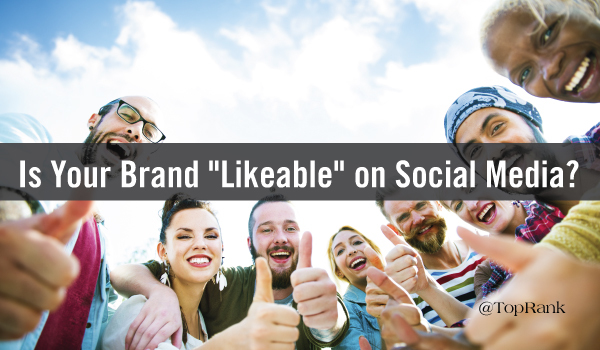 What have you done to increase your brand’s likeability on social media? Tell us in the comments section below. #6 – “Don’t shy away from negative feedback.” is the most important thing. With negative feedback, you know on what to pay attention and correct the possible mistakes. As it says, don’t be shy, take the best from it! I like your term “organic visibility,” I think it really explains what so many businesses are looking to achieve when they aim to create successful social media pages etc. And you are right, trying to find a unique angle to present your product or service in a light that is accurate, accessible and personalized can be difficult, particularly with a medium that is constantly changing in ways that are not predictable. And as always, I appreciate your reiteration of the point that the more personalized your page is, the happier the client will be. Telling a story of origin, for example, or even relating to everyday happenings in the world create a sense of security and will lead to better results! Thanks for reading and sharing, Milan!